On 2 November 1917, a letter was delivered to the Jewish community of Great Britain by the British government committing His Majesties Government to the creation of a ?national home? in Palestine for the Jewish people. This ?declaration? changed the course of history. For that reason, Benjamin Netanyahu, Israel?s Prime Minister, attended a dinner in London on 2 November 2017 with Theresa May, Britain’s Prime Minister, to celebrate the issuing of this letter 100 years ago. Lord Balfour, a descendant of the man who sent the letter, now called the Balfour Declaration, also attended. The Palestinians regard this Declaration as a ?great betrayal? and Mahmoud Abbas has demanded that Great Britain apologize for this Declaration, not celebrate it. The Balfour Declaration was one of a series of developments that led eventually to the creation of the nation state of Israel in 1948. It is important to review the details of this momentous event and place it in its proper historical perspective. World War I, often called the Great War, began on 28 July 1914 and ended on 11 November 1918. It involved the world’s leading powers, assembled in two opposing alliances: the Allies (based on the Triple Entente of the United Kingdom, France and Russia) and the Central Powers (originally the Triple Alliance of Germany, Austria-Hungary and Italy). These alliances both reorganized (Italy fought for the Allies), and expanded as more nations entered the war. The Ottoman Empire sided with Germany. Ultimately more than 70 million military personnel, including 60 million Europeans, were mobilized. More than 9 million combatants were killed, largely because of enhanced military technology (e.g., tanks, gas warfare, airplanes, machine guns, etc.). It was the sixth-deadliest conflict in world history, and forever changed the Middle East. Its impact paved the way for the creation of a homeland for the Jewish people. Before the outbreak of the War, a cohesive and well-organized Jewish community in Israel (known as the Yishuv or new settlers) had grown to nearly 100,000 people. Along with agricultural settlements, the Yishuv founded new village communities and laid the foundation for a thriving Jewish presence in Israel. About half of the Jewish population lived in Jerusalem, with the other half in the rural areas and in urban communities growing in Jaffa and Haifa. The Yishuv founded Tel Aviv in 1909 as the first modern Hebrew city. In addition, the resurgence of Hebrew as a modern spoken language was the work of Eliezer Ben-Yehuda (1858-1922) and by World War I was becoming the national language of this flourishing Jewish population. The Ottomans had organized the area of Palestine into the Ottoman province of Beirut in the north and the district of Jerusalem in the south. Since the Ottomans had sided with Germany in the Great War, the Germans assumed protection of the Jews in Palestine. Under the Ottoman Ahmet Jemal, the Ottomans recruited both Jews and Arabs into their army to fight the Allies. Because they feared collaboration with the British, Jemal expelled many foreigners who did not have Ottoman citizenship. Between 12,000 and 15,000 Jews fled Israel, including David Ben-Gurion. Jemal forced both Christians and Jews into labor battalions to build roads and fortify Jerusalem. The Ottomans destroyed much of the Land of Israel during the war, confiscating livestock, trees, crops and property for their war effort. The suffering was intense. In fact, within Jerusalem, due to starvation, disease and deportation, the total Jewish population had dropped by 20,000. The British Empire hoped to drive the Ottomans from Palestine and secure a safe route to its prized possession of India, while providing a buffer to protect the Suez Canal in Egypt. Field Marshal Lord Kitchener, the secretary of state for war in London, believed that aligning the Arabs with Britain was the key to defeating the Ottoman Turks in Palestine. Kitchener therefore opened discussions with the Sharif of Mecca, Hussein ibn Ali (1854-1931) of the Hashemite family (direct descendants of Muhammad), to launch an Arab revolt against the Ottomans. Kitchener thereby ordered Sir Henry McMahon, high commissioner in Egypt, to do whatever he could to keep the Arabs on Britain?s side in the war. Hussein, as a price for leading the Arab Revolt, demanded that Britain grant him an empire that included Arabia, Syria, Palestine and Iraq. On 24 October 1915, McMahon replied to Hussein granting him his request for an ?empire,? but clearly excluding Palestine and Jerusalem in his correspondence. The so-called McMahon?Hussein Correspondence, the exchange of letters between 14 July 1915 and 30 January 1916, was interpreted by Hussein as a promise that Britain would give him Palestine once the war had ended. The British government has always disputed this interpretation. Indeed, in 1922 McMahon declared that ?It was as fully my intention to exclude Palestine as it was to exclude the more northern coastal tracts of Syria.? He also stated ?that Palestine was not included in my pledge was clearly understood by Hussein.? Nonetheless, many Arabs today still charge Britain with a ?shameless betrayal of its wartime pledges.? Meanwhile, from November 1915 through March 1916, Britain and France were engaged in secret negotiations on the future of the Middle East. The result was the Sykes?Picot Agreement, named after the principal negotiators, Sir Mark Sykes of Britain and Francois Georges-Picot of France. The agreement was concluded in May 1916. As Efraim Karsh argues, the agreement was a commitment by Britain and France ?to recognize and protect an independent Arab State or a Confederation of Arab States?under the suzerainty of an Arab chief stretching over the vast territory from Aleppo to Rawandaz and from the Egyptian-Ottoman border to Kuwait. This commitment represented a clear victory for Britain?s championing of Arab independence and unity over French opposition.? The agreement also provided for the internationalization of Jerusalem. The ?spheres of influence? of both France and Britain detailed in the agreement provided a framework for what would become the French and British Mandates after the war. His Majesty?s Government views with favour the establishment in Palestine of a national home for the Jewish people, and will use their best endeavors to facilitate the achievement of this object, it being clearly understood that nothing shall be done which may prejudice the civil and religious rights of existing non-Jewish communities in Palestine or the rights and political status enjoyed by Jews in another country. ?Science and Zionism? had combined to produce the first modern affirmation that the Jews were entitled to a homeland in their ancient Land. The new British commander, Sir Edmund Allenby, arrived in Cairo on 28 June 1917 to begin his conquest of Palestine. He amassed an infantry of 75,000, with a cavalry support totaling 17,000. He promised the British people that he would give them Jerusalem as a Christmas present. He kept his promise. On 11 December 1917, the Ottoman Empire surrendered Jerusalem to the 60th Infantry Division of the British army. For the first time in 1,200 years (except for the brief Crusader rule), Muslim rule of Jerusalem had come to an end. General Allenby entered Jaffa gate into the Old City of Jerusalem on foot, stating emphatically that no Christian should enter Jerusalem where Jesus died in an arrogant or pompous manner. By September of 1918, Allenby had driven the Germans and the Ottomans completely out of Israel. Israel was now in the hands of the British Empire. Senior columnist for the Israeli newspaper Haaretz, Ari Shavit, has written that the 20th century was ?the most dramatic century in the dramatic history of the Jews. In its first half, we lost a third of our people. But the second half of the century was miraculous. In North America, we created the perfect diaspora, while in the land of Israel we established modern Jewish sovereignty. The Jews of the 21st century have today what their great-grandparents could only dream of: equality, freedom, prosperity, dignity. The persecuted people are now emancipated. The pitiful people are now proud and independent . . . [Israel] is the demography of hope: an almost extinguished people renewing itself.? Such is the modern miracle called Israel?and it started with the Balfour Declaration of 1917. Britain’s intention to end 1200 years of Muslim rule in Jerusalem by establishing it as an ‘international city’ and the eventual establishment of Israel as a safe homeland for modern Jews bore the evidence of God’s sovereignty at every turn. 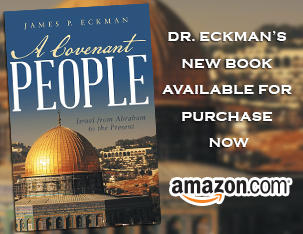 This new, God-provided sovereignty also set the stage for continuous, armed conflict in that region that will see no end until the Lord’s time for the Battle of Armageddon. I have recently read reports from top-drawer news sources that both Iran’s and North Korea’s nuclear programs are being advanced by both expertise and materials from the Russians. The Kremlin’s intent in its many political destabilization efforts is to keep both the U.S. and China ‘off-balance’ in Asia. As things now stand, they are far more concerned with China’s positioning itself for a series of major power-grabs than they are with the U.S.. Under Obama, we announced from the very beginning that we were interested in exiting from the Middle East. That must have been music to the ears Chinese and Russian military elites. That policy has led to the greatest persecution of Christians that the world has ever known and an even greater competition between Russian and China to ‘fill the void.’ We laid down our cards and said, “We’re out!” giving a green flag to the other Middle Eastern players. We have very quickly seen the resultant cost in human suffering that policy initiated.